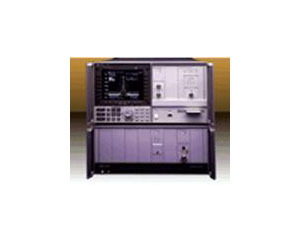 The Agilent 71100C RF spectrum analyzer operates from 100 Hz to 2.9 GHz. Its synthesized performance offers very precise, high-speed tuning, with excellent frequency accuracy, amplitude accuracy, and repeatability. As part of the Modular Measurement System (MMS) family, you can choose a configuration that best meets your requirements in performance, size, and price. Adding accessories such as a preamplifier or tracking generator is very easy. For automated testing, the Agilent 70000 series of spectrum analyzers are compatible with the Agilent 8566B. Their proven reliability and repeatability allow a three-year calibration cycle, giving you a very low lifetime cost.